Coming from a simpler time, 1997 to be exact, the Toyota Prius redefined what it meant to be fuel efficient and created a new vehicle category of Clermont Toyota vehicle, the hybrid. The Prius, when translated to Latin means “first,” “original,” “superior,” or “to go before,” is hailed as the first mass produced hybrid vehicle on the market at the time. It reached one million vehicles sold in 2008, the two million mark in 2010, and then the 3 million mark in 2013. Needless to say, the Toyota Prius has a lot to offer. From fuel efficient engineering to wicked good looks, we’re not surprised at the popularity of this Clermont Toyota hybrid vehicle. But, one thing that does have us surprised is the Prius’ recent win in MotorTrend’s figure-eight track test. If you don’t know exactly what this is, come along with us and check out this unexpected victory! The Toyota Prius Did What? MotorTrend is one of the leading authorities when it comes to cars. They heavily research and review vehicles on the road to bring the most up-to-date information on current vehicles and all thinks automotive. As part of their vehicle review process, MotorTrend puts their chosen Clermont Toyota vehicles through road tests to determine their overall capability and handling. One test they use for vehicles is the figure eight track test. Why a figure eight? Because this track requires little space and allows reviewers to get a good idea of the handling of the chosen vehicle when it comes to turns, acceleration, and braking. Usually, with tests like these you see vehicles designed with lower stances and more performance-based engineering taking the best times and performing the best. Vehicles like the Clermont Toyota Tundra or Highlander typically don’t perform well during these tests due to the fact that they’re raised higher and have a different center of gravity than a sedan or coupe. 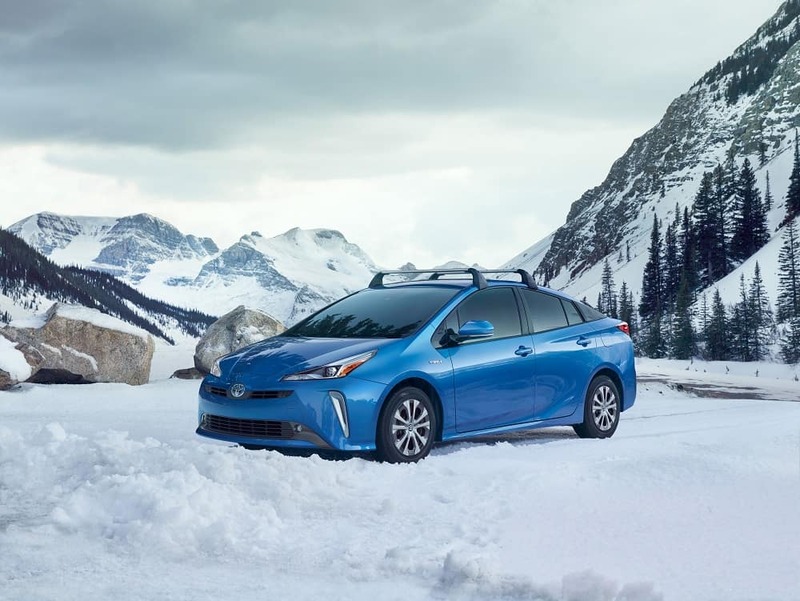 Usually a hybrid vehicle like the Toyota Prius doesn’t perform well at this test due to their lack of overall power under the hood and low-rolling resistance tire. But that all changed after this test. The Clermont Toyota Prius sported the best times for this test and beat out vehicles from auto manufacturers like Jaguar, Mercedes, Cadillac, Fiat, BMW, and Mazda. There was a total of fifteen vehicles in this test and the Prius beat every one. How did it manage this? While the Clermont Toyota Prius wasn’t designed to be a drag or track racing car, it managed better times than vehicles designed for that on MotorTrend’s track. It managed an average track time of 26.3 seconds at an average of 0.64 g.
Check out the Toyota Prius at Toyota of Clermont Today! Apart from MotorTrend’s surprising track test results, the Toyota Prius is an engineering marvel that blends fuel efficiency with unique style and has a surprisingly sporty side. You can test and drive this unique Toyota hybrid home today at Toyota of Clermont! We’re open seven days and you can visit us seven days a week at 16851 State Road 50.